What’s the Instant Structures Mod? With the Instant Structures Mod (short: ISM), more than 10,000 structures can be selected and placed. These structures are managed in a graphically beautifully designed “Structures Wiki“. In the Structure Wiki structures are sorted according to builders and genre. Examples for the genres are Modern Houses and Structures, Medieval Buildings, Castles, Asia Buildings and Sci-Fi structures. The Wiki offers the option to sort structures by Date, Name, Size and Most Placed. 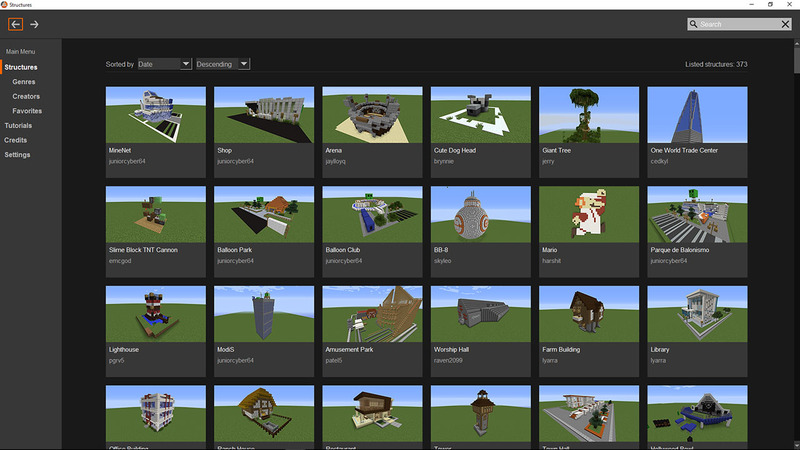 It even contains a search bar to search for specific structures. In addition, the builders of the structures are linked. Once a structure has been selected it can be placed with only a few mouse clicks. The size of the buildings ranges from a few 100 to the point of 3,000,000 blocks. The structures are designed mainly very detailed. Among the previously published 10,000 structures of Instant Structures Mod provides a tool to scan structures. The mod also can be placed geometric shapes like spheres, cubes, cylinders and many more. It is planned to publish further building and improvements in the future. The mod is updated almost always weekly. Start Minecraft and be sure that you choose the right profile.